Glory be to the Lord, my creator, protector, and guide. Only through Him is anything worth accomplishing. God is love. Whoever knows God, knows love. Through a vision, I learned the Father God, Son Jesus, and the Holy Spirit are about His love for us. I felt a calling to spread this message and Triple Heart Love was born. 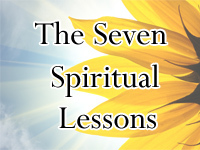 I created workshops based on the seven spiritual lessons I learned on how to develop a closer relationship with the Lord. 1. Let go of worldly thinking to build Godly thinking, 2. Let go of negative thinking, 3. Forgiveness, 4. Compassion for yourself, other people, and animals, 5. Love yourself and your neighbors as Christ loves you, 6. Treat your body as a temple for the Lord to dwell in, 7. All the above steps are pleasing to the Lord when acted on towards others and ourselves because these demonstrate the Lord's love. 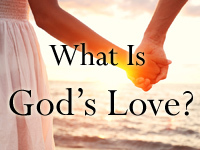 The Lord is ALL about LOVE. As Christians, we are all called to follow the will of the Lord by denying ourselves and taking up the cross (Matthew 10:38 and 16:24, Mark 8:34, Luke 9:23, and John 14:23.) When you act loving you drawer closer to Him but when you act evil, you push Him away.